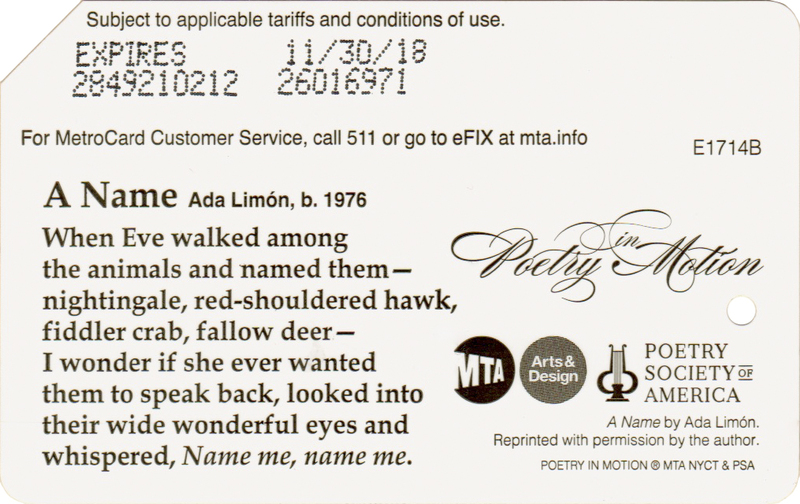 Poetry series continue with the last release of 2017. 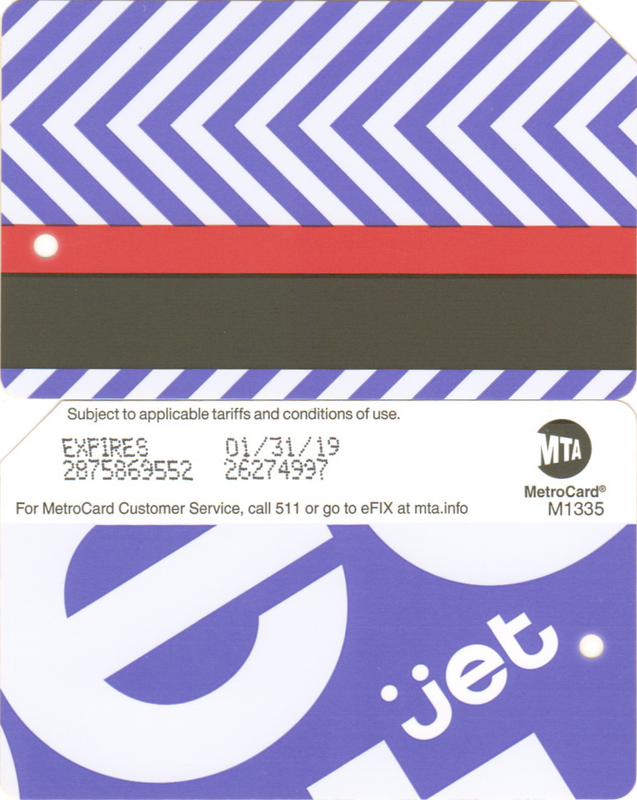 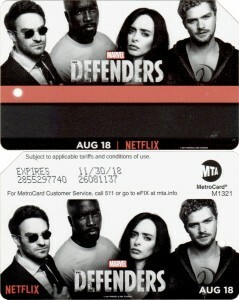 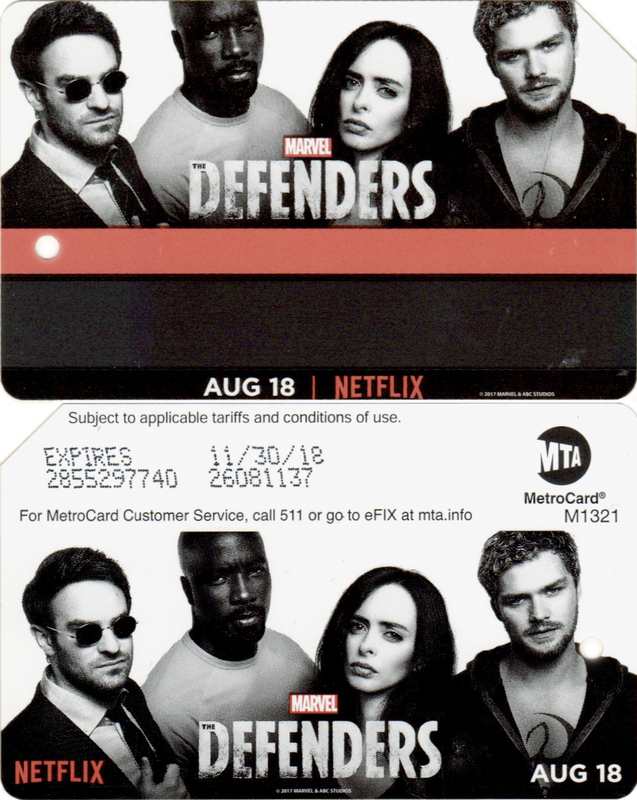 JET.com sponsored metrocard to promote itself, that web site is for shopping and deals. 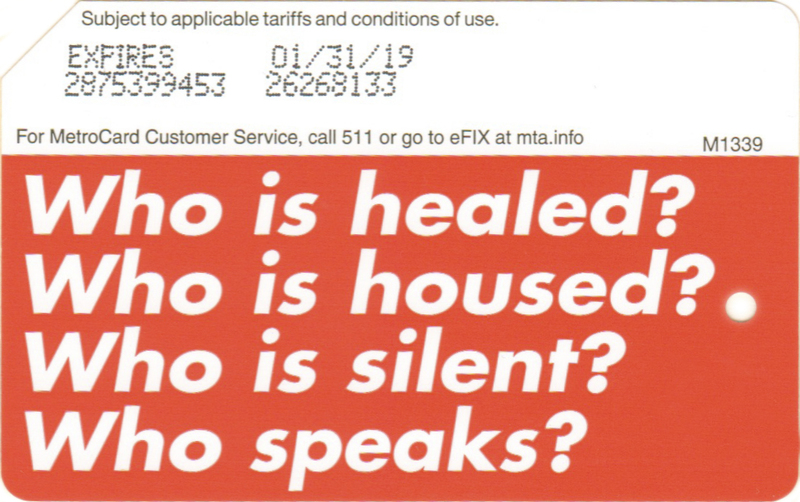 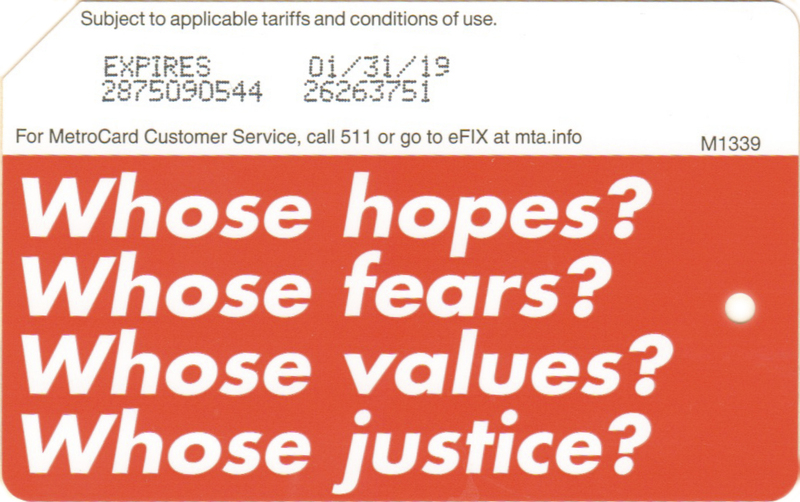 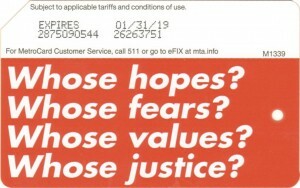 Barbara Kruger is conceptual artist and she created as part of her Performa project 2 metrocards with slogans in font and color used by infamous Supreme metrocard. 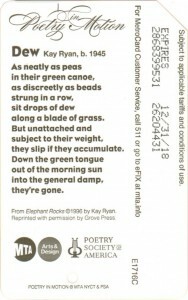 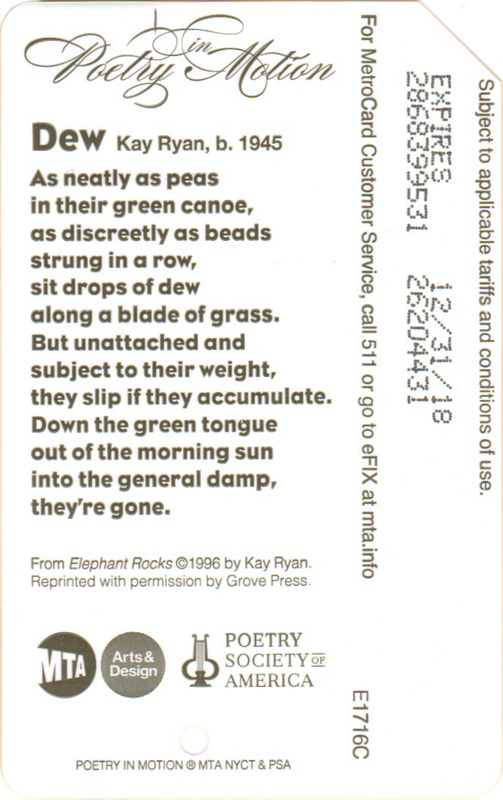 Poetry card with poem by Kay Ryan Dew. 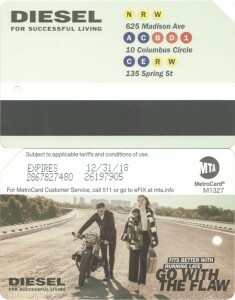 Card on front has list of Diesel stores in Manhattan. 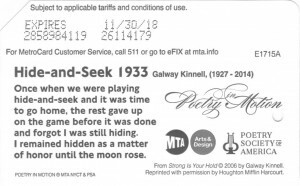 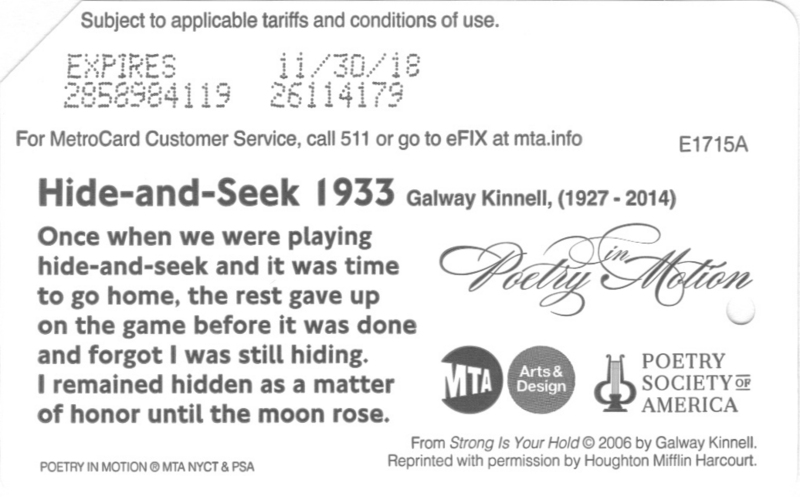 Poetry card with poem by Galway Kinnell Hide-and-seek. 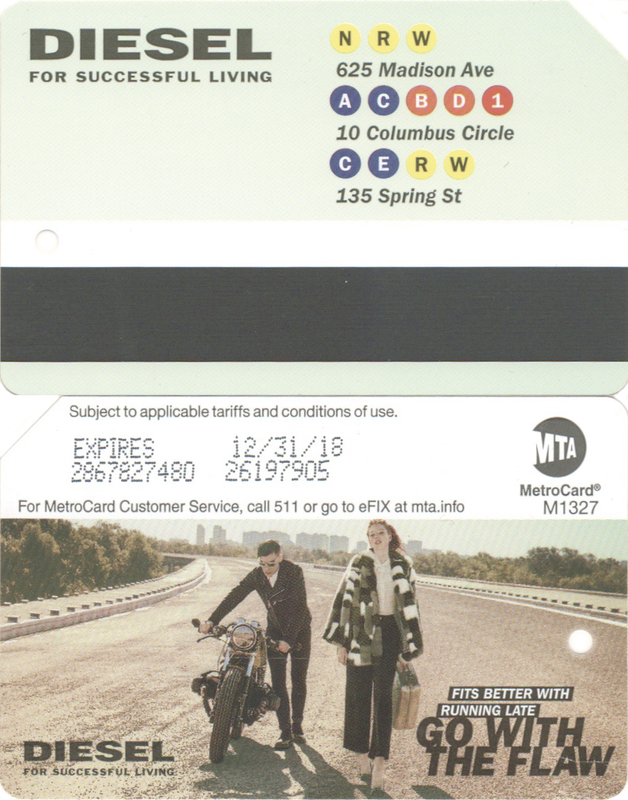 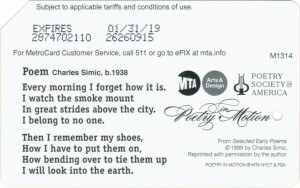 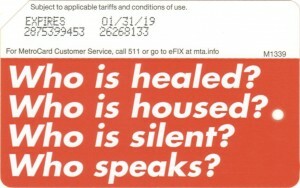 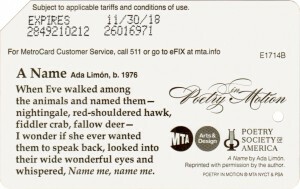 Another metrocard from Poetry series, Ada Limon ‘A Name’. 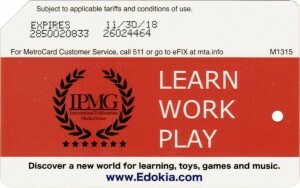 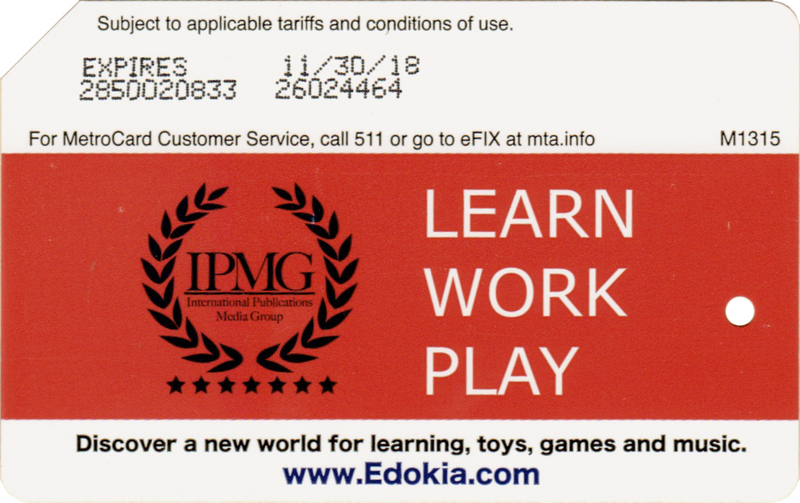 IPMG sponsored mertocard to promote there edokia.com web site with the slogan ‘Learn Work Play’. 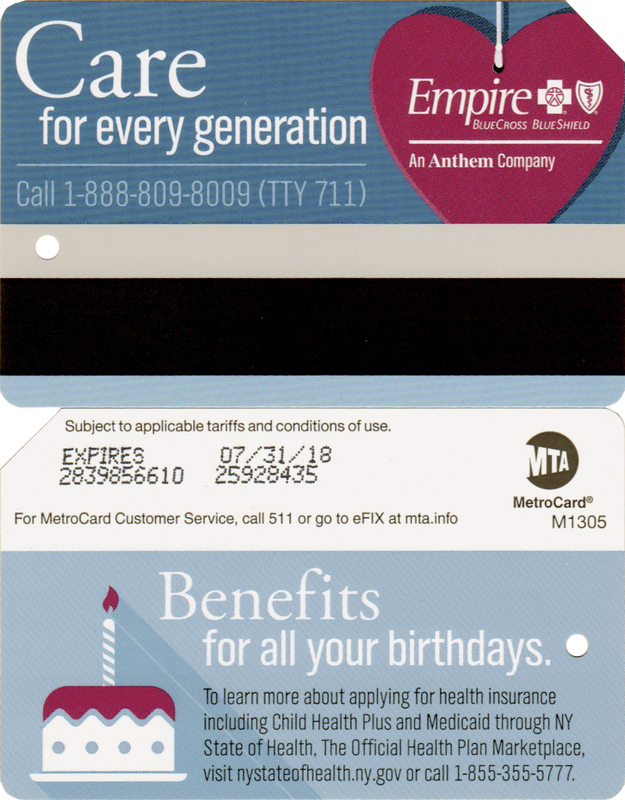 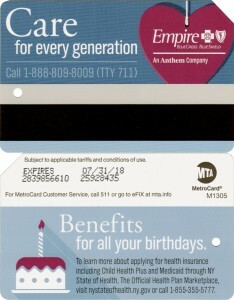 Health care insurer Empire BlueCross BlueShield sponsored double sided metrocard.